Skin + Wax Clinic is a multi-award winning salon. Skin + Wax Clinic Hervey Bay give you more than just a beauty treatment. Tammy and her team are dedicated to ensuring that the treatment they provide is of the highest standard while at the same time giving their clients a relaxed and settled atmosphere. 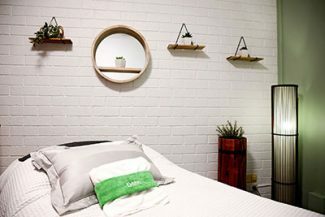 What Skin + Wax Clinic brings to Hervey Bay is a new revolution in skin care with Paramedical Treatments such as DMK Skin Revision and precision Waxing and Sugaring. Welcome to the only Brow LAB of its kind in Hervey Bay and that’s what we are famous for. 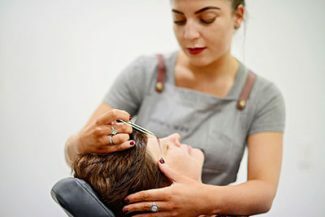 We consult with you about how you’d like your brows to look and discuss with you what style of brow would suit your face shape and your features by using 7 steps to achieve your ideal brow. Achieve remarkable results and feel like a new person. Paramedical Treatments such as DMK Skin Revision can stimulate skin cells to function correctly and regenerate at a cellular level. DMK Transdermal Nutrition Treatments are a range of spa-style relaxation facials which allow active ingredients to target problem areas. Spoil someone you love with the gift of beautiful skin plus some much deserved time to retreat and de-stress! Gifts aren’t just for Christmas! In fact, whatever the occasion you can choose from any of our treatments or simply nominate a monetary value. Either way, your lucky gift recipient can use it on ANY treatment within our menu. We are the first and only express ‘facial salon’ in Hervey Bay. 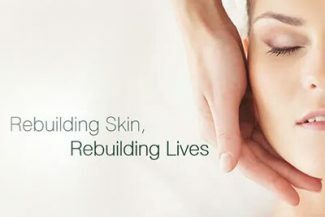 We provide results driven skincare treatments in 30 minutes. You can rely on us for superior professional service at a fraction of the traditional spa price. Our goal is to provide you with unforgettable skincare in our Facial Bar. Our skilled Cosmetic Doctors achieve natural-looking results, resulting in subtle enhancement and leave you looking refreshed. After a treatment, people may remark that you look healthier or well rested without knowing why. Bookings available once a month - please call for available dates.